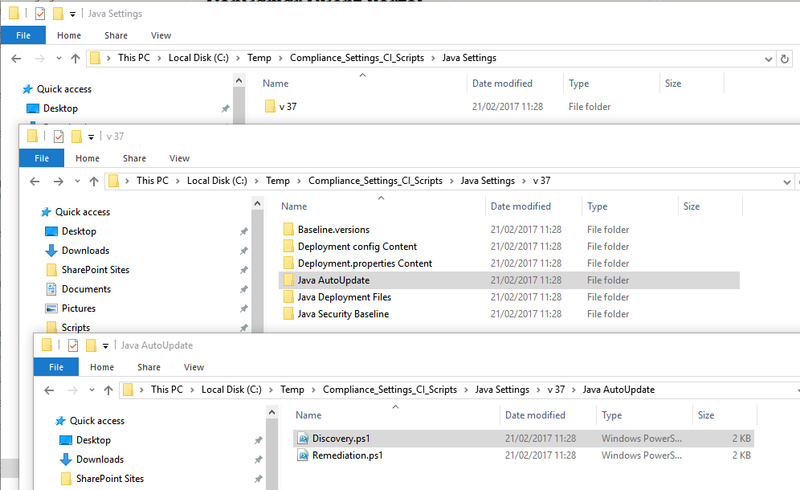 In my SCCM environment I have a number of Compliance Settings that use custom scripts for discovery and remediation, and recently it dawned on me that a lot of time has been spent on these and it would be good to create a backup of those scripts. It would also be useful to be able to export the scripts so they could be edited and tested before being updated in the Configuration Item itself. So I put to together this PowerShell script which does just that! The Configuration Item scripts are stored in an XML definition, and this can be read from the SCCM database directly and parsed with PowerShell, so that’s what this script does. It will load all the Configuration Items into a datatable from a SQL query, then go through each one looking for any settings that have scripts defined. These scripts will be exported in their native file format. You could then edit those scripts, or add the export location to your file/folder backup for an extra level of protection for your hard work! Here you can see an example of the output for my “Java Settings” Configuration item. A subdirectory is created for the current package version, then subdirectories under that for each Configuration setting, then the discovery and remediation scripts for that setting. 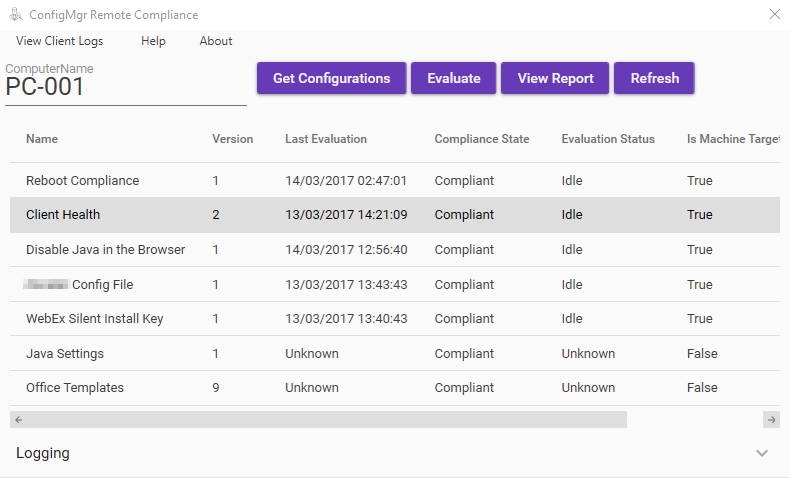 Note that the script will only process Compliance Items with a CIType_ID of 3, which equates to the Operating System type you will see in the SCCM console for the Configuration Item, which is the type that may use a script as the discovery source.